At the time of Melba’s recording of the Sydney Dance Company’s GRAND (performed by pianist Scott Davie), the Company was led by Artistic Director Graeme Murphy and Associate Artistic Director Janet Vernon. Graeme Murphy’s 2005 world premiere work GRAND opened at the Sydney Opera House on 1 June 2005. The work toured to Canberra, Brisbane, Melbourne, Hobart and Launceston followed by an international tour in 2006. In 2008 Sydney Dance Company presented three world premieres from internationally significant guest choreographers Meryl Tankard, Rafael Bonachela and Aszure Barton. These invitations to create new works added to a repertoire already acclaimed for its vivid theatricality and inventive choreography. Performing each year nationally and internationally, Sydney Dance Company has become one of the most in demand performing arts companies in Australia and an active proponent of Australian culture around the world. The Company has undertaken over 25 international tours – to Asia, North America, South America and Europe – and has performed to audiences in over 100 cities in over 20 countries. Sydney Dance Company's 18 dancers are acclaimed throughout the world for their technical finesse and artistry. The dancer-choreographer exchange is a crucial partnership in the creation of each new work, and their dedication is evident in the exuberance with which they perform. As part of its ongoing commitment to developing audiences for contemporary dance, Sydney Dance Company has showcased the works of international dance companies and of Australian and international choreographers. Guest choreographers have included Gideon Obarzanek, Ian Spink, Graeme Watson, Paul Mecurio, Don Asker, Louis Falco, Ohad Naharin, Ralph Lemon, Douglas Wright and Stephen Petronio to name only a few. International companies presented by Sydney Dance Company include Compagnie Maguy Marin, Ballet Preljocaj, The Parsons Dance Company and Momix. Sydney Dance Company was also committed to choreographic development through the 2008 Overture Series Initiative, and the regular programming of choreographic workshops into its busy performance calendar. 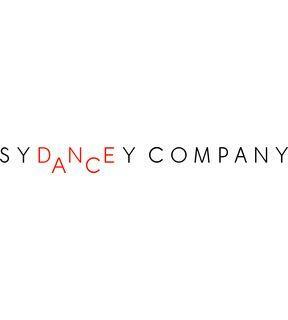 For more information on Sydney Dance Company please visit their website.